The jumbo, the former KLM aircraft City of Bangkok, is being transported from Schiphol to the hotel in a five-day heavy-lift marathon starting at 23:00 tomorrow, Tuesday. 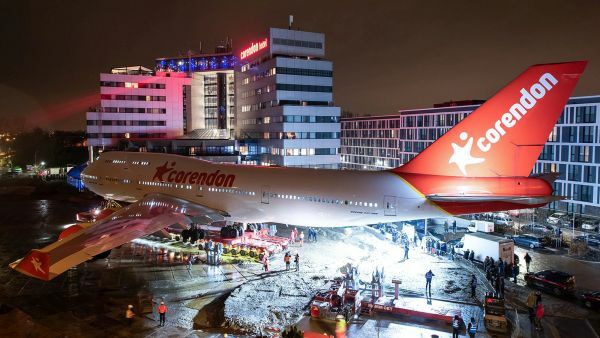 It’s the idea of travel company Corendon, which has several interests in the industry and which is converting the aircraft, repainted in company colours, into the Corendon Boeing 747 Experience, due to open later this year. The Corendon Village Hotel opened last year. With 680 rooms, suites and apartments, it is the largest hotel in the Benelux region. 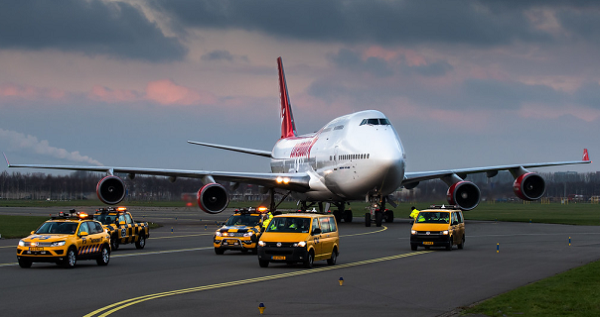 Fittingly, guests have a clear view of Schiphol Airport.